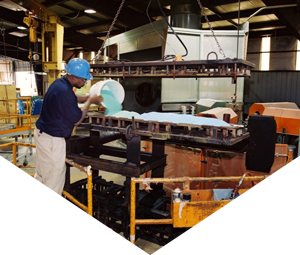 The Sterling Advantage reflects not only our rotational molding capabilities, but also the dedication and commitment of our team of rotational molders. Guided by process and quality controls the “Can-Do” team spirit ensures customers receive their parts as specified and on time. 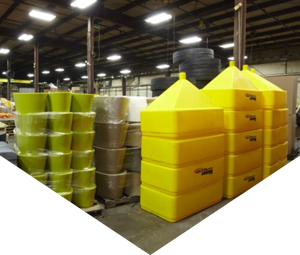 Team leaders from engineering, estimating, production scheduling, molding and finishing all work to provide streamlined communications and set proper expectations.The Sterling Advantage… providing leadership in custom rotationally molded plastic parts. How does your involvement with customers generally begin? Our involvements typically starts from the very beginning. The customer will contact our sales department to outline the project, and at that point they will set up a conference call or a face-to-face meeting to discuss the project. Do customer typically submit a drawing right away, or is it just a concept idea? That all depends on where they are at with their project. Some customers come to us with a fully designed product that we just have to redline to make sure if fits our molding process, others may come to us with a rough sketch of what they want, and some just have nothing at all and we have to start from scratch. I think that is what makes us unique is the fact that no matter where they are in the process we can help them get them product to the finish line. 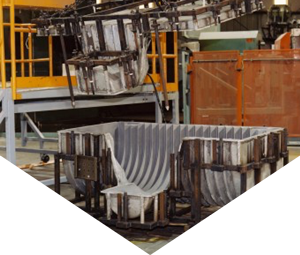 What kinds of evaluations do you go through to be sure it is engineered properly for rotomolding? There are a number of things we look for when designing and evaluating a project. We look for sharp corners or even very small radii, in rotomolding typically these type of areas like to trap air/gas bubbles which result in porous edges. Another area we look at is does the part have the proper draft built into it and are there any areas the create an undercut that would prevent the part from being able to be de-molded. 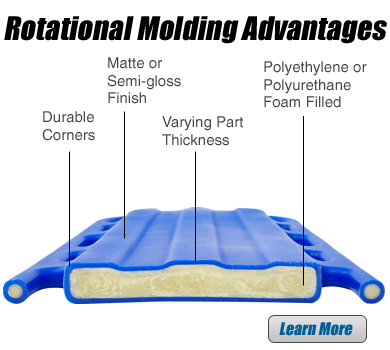 We also review the model to make sure that there are no areas that are narrow and deep that may prevent heat transfer in the mold itself. Without heat transfer in the mold the plastic will not form in those areas. The last major thing we look for is the actual interior volume of the mold. There must be enough volume in the mold to accommodate the proper charge weight of the part. A general rule of thumb is 1 cu.ft. of interior volume can hold up to approx. 21 pounds of resin. The charge weight of a part dictates the wall thickness. The same mold can produce parts with different wall thicknesses just by increasing or decreasing the charge weight. So for example, if the part requires 42 lbs of resin to create a part with a wall thickness of 3/16" it would need approx. 2 cu.ft. of interior volume, but the mold only has 1.375 cu.ft. of interior volume. So it would not be able to produce a part with a 3/16" wall thickness. The customer would then have to do one of two things, increase the interior volume or decrease the wall thickness of the part. These are only some of the major things we look for, there could be some other areas that we find on occasionally that need to be modified. Is there a typical timeframe that you try to adhere to? Two days, two weeks, two months? Every project is different. It really depends to the scope of work. I have seen some jobs take a day to design and some have taken a lot longer. I have not heard directly from the customers, but I have heard through other people that our turnaround time for a design is fast and our level of professionalism is top notch. How involved are you with the actual mold design and specification? Very involved. We layout how we want the mold to look and how they are to operate one they are complete. 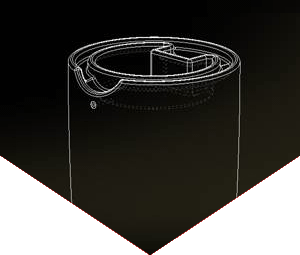 We create the complete list of specification for the tooling group. 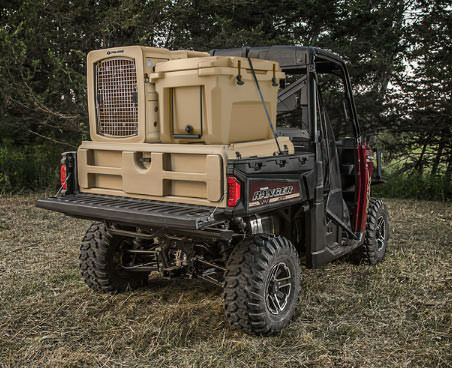 Polaris is the leader in off-road, ATV and Utility vehicles for sportsman and outdoor enthusiasts. Hunters have been a strong and growing customer of their business. To capitalize on this market, Polaris looked to Sterling Technologies to help develop some products for their new line-up. 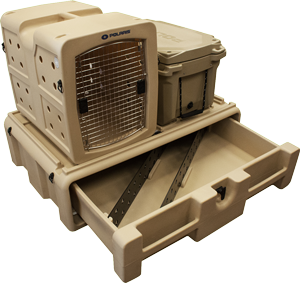 Scott S., Polaris Team Leader - Engineered Parts & Accessories, had a concept for a gun vault, dog kennel, and cooler package option for the bed of their popular Ranger™ UTV. After doing his research, he contacted Sterling Technologies to explain his vision, review the timeline of project and discuss consumer price points. Within one month, Scott had his final drawings and ordered his tooling through Sterling's OneSource FastTrack program. The tool was online, molding sample quantities just 3 months from that initial phone call.
" Working with the Sterling team from sales through production was a terrific experience. They helped us develop a high-quality, modular system all while helping us maintain desired margins. Our company has a strong reputation for product quality and value and that's what was delivered. I'm sure this is just the beginning of our partnership with Sterling." Contact us with any questions, comments, or suggestions to get started today. © 2019 Sterling Technologies Inc. - all rights reserved.